Work with an even number of stitches. This is a one row repeat. 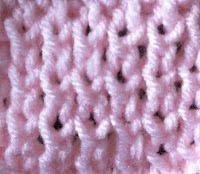 Note: As an alternative you may knit the first and last stitch of the row instead of purling it. 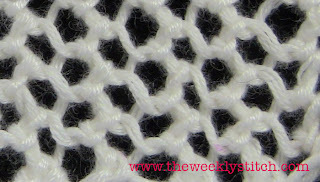 The Dot Stitch is very easy to learn, and would look nice for a scarf/hat, or panel in an afghan. 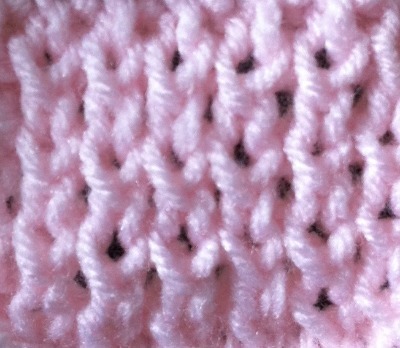 The sample below was knit with Caron Simply Soft. 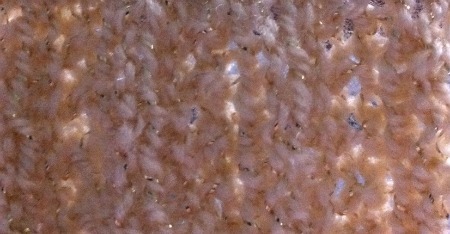 Yep, more ribbing stitch patterns! This time we are going to take a look at Beaded Rib and Fisherman's Rib. As always, try the stitches using different weights of yarn, and needle sizes other than the one recommended for whatever yarn you decide to use. First up, Beaded Rib. Below, I have a sample knit in a 4 ply worsted weight yarn (on the left, some cheap stuff purchased at Wal-Mart) and on the right, a lighter weight yarn (Vanna's Glamour). 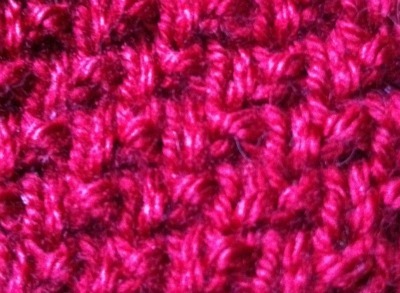 The worsted weight yarn shows off this stitch very nicely, whereas the second yarn swallows up the stitches. I wouldn't waste my time making something using this stitch and yarn, personally. I prefer how it looks in a less fancy yarn. This is going to wrap it up for the ribbing for now. 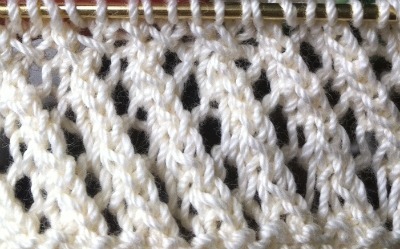 I will be posting more rib patterns in the future, but for now it is time to move on past ribbing!